Cranberries may lower LDL, or “bad cholesterol,” levels, which reduces the risk for heart attacks and developing cardiovascular disease. How can you tell if a cranberry is fresh? Try bouncing it! Fresh cranberries bounce because of the air pockets within the berry. Cranberries contain a unique form of antioxidants called proanthocyanidins, which prevent bacteria from sticking and multiplying. This is the reason why people with various bacterial infections, such as urinary tract infections, consume a large amount of cranberries. 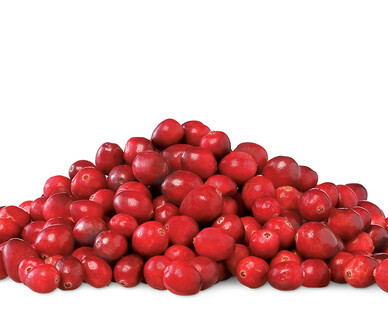 Cranberries are tart, but it’s pretty sweet that they are a good source of fiber and vitamin C.